The Republic of Macedonia, a Balkan country in Eastern Europe, declared its independence from Yugoslavia in 1991. It’s recognized by the UN as the former Yugoslav Republic of Macedonia (FYROM) due to a name dispute with Greece, who believes calling the country "Macedonia" creates ambiguity with the Greek Region of Macedonia, which in turn breeds historical and cultural concerns. We won’t get into that in this story, but if you’re interested, you can read up on it here. Call it whatever you want – the country is beautiful regardless, and its landscape, culture, adventure activities, and affordability are likely to impress even the most seasoned traveler. Capital: After an earthquake destroyed about 80 percent of the country’s capital in 1963, Skopje didn’t do the best job rebuilding – much of the construction lacked personality and brought about a socialist feel. 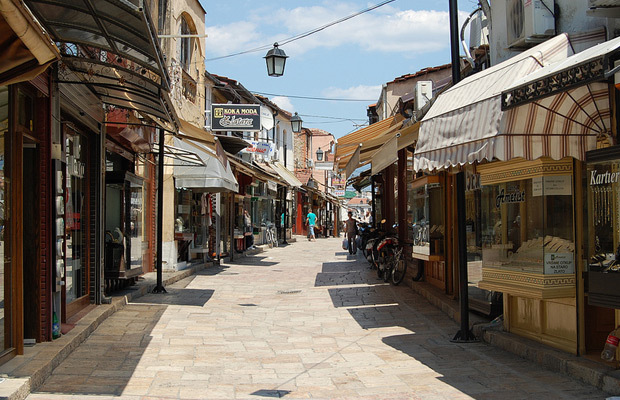 It remained this way until 2010, when the government launched an initiative called Skopje 2014 that aims to spark tourism by redoing the town squares and building new infrastructure, such as pedestrian bridges around the Vardar River. Although controversial, the project has begun to pay off, as Hilton recently announced it will open its first property in the country in 2016. Beach: Two hours south of Skopje and straddling the Albanian border, strategically-positioned Lake Ohrid is at least 4 million years old, but looks brand new. Standing on a road that climbs up the old city and looking out, it's impossible to see the other end of the lake, some 30 kilometers away. In the summer months, it's the closest thing to a beach setting that you’ll find in landlocked Macedonia, and it becomes a very popular place for boating, water skiing, and beach bars. The old city and its walls are still very much intact, adding a historical touch to the lake-side community feel. Local restaurants serve fish caught right in the lake. Adventure: The World Cup of Paragliding was held in Macedonia last year, a factoid that should tell you something right off the bat about the landscape of the country. The two largest and most popular cities, Skopje and the lakeside Ohrid, are both surrounded by mountains, and neither are more than a few hours' drive from the ski region, Popova Shapka, or the Tikves wine region. The National Park of Galichica is full of trails that take you up the hillsides surrounding Lake Ohrid, which I would highly recommend to hike during the sunset. About 20-minutes from downtown Skopje is Matka Canyon, an “otherworldly” setting that attracts rock climbers, kayakers, and hikers. Adventure companies such as Macedonia Experience can help you personalize an itinerary to experience many of these outdoor opportunities. Food: One of the more broadening experiences I had was eating at a local kafana, a high-energy restaurant with a pub-like atmosphere featuring live traditional music, dancing, socializing, and lots of eating and drinking. Kafanas tend to be much cheaper than other restaurants, and because a live band plays throughout the meal, getting up and dancing around the tables in between bites is a must. Traditional dishes served include the shopska salad, made with tomatoes, cucumbers, onions and peppers and topped with white cheese, and tavche gravche, a baked bean dish served in Macedonian earthenware. Drink: Macedonia’s local booze selection has got you covered before, during, and after your meal. For an aperitif, there's rakija, a whiskey-like liquor distilled from fermented fruit, typically from plums, cherries, grapes, and a variety of other fruits. You sip it straight at room temperature, usually from a tall shot glass. A common first stop on a night out is a "rakija bar," where rounds of four go for as low as $5 and you munch on plates of fresh veggies and bread served with variety of spreads, the most famous being the pepper paste known as aijvar (Macedonian moms compete to see who has the best family recipe). 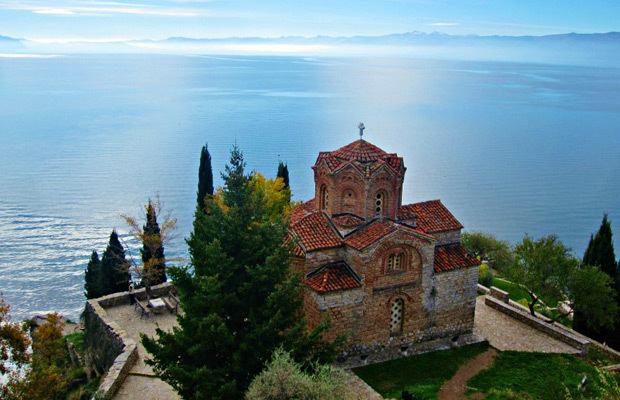 Authenticity and Affordability: Because it’s relatively unknown to western tourists, the closest you’ll come to a "touristy" feeling in Macedonia is a crowded Lake Ohrid during in the summer. Despite the push by the government to attract tourists, the cities are very authentic and, thanks to a favorable conversion rate, right now is the time to go: 46 local denars convert to $1. As a point of reference, a round of rakija (4) will run you about 200 denar (a little over $4), while a Shopska salad goes for about 100 denar (approx. $2), and a beer 85 denar ($1.50–$2).